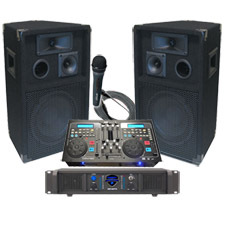 DJSYS-15 - 2100 Watt DJ System - Dual CD Player / Dj Mixer Combo, DJ Mic, 2200 watt Amplifier, Two 12 Speakers, and a cable to connect your computer or iPod. 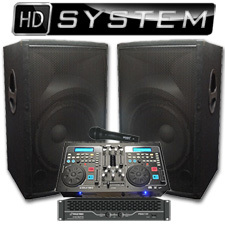 DJSYS-11 - 2100 Watt DJ System - Dual CD Player with mixer, Microphone, 2100 watt Amplifier, Two 10" Speakers, and a cable to connect your computer or iPod. 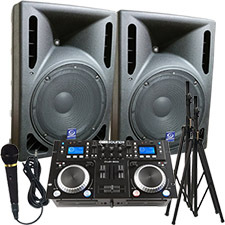 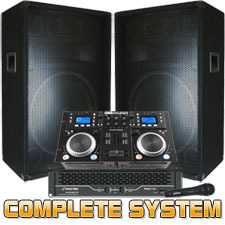 High Definition DJ System - 2100 watts - Perfect for Weddings or School dances! 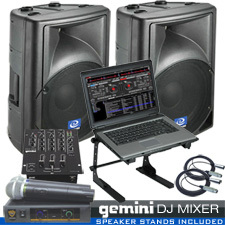 DJ System Package for the Computer DJ ready for live gigs. 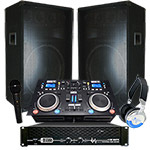 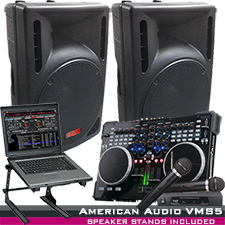 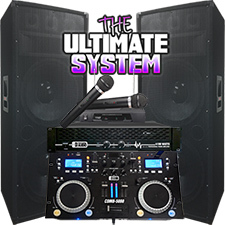 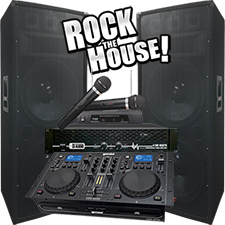 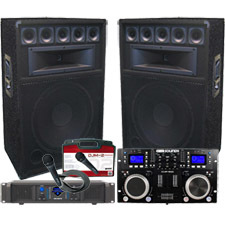 1600 Watt 12" Powered Speaker DJ System - Connect your Laptop, iPod or play Cd's or MP3's.